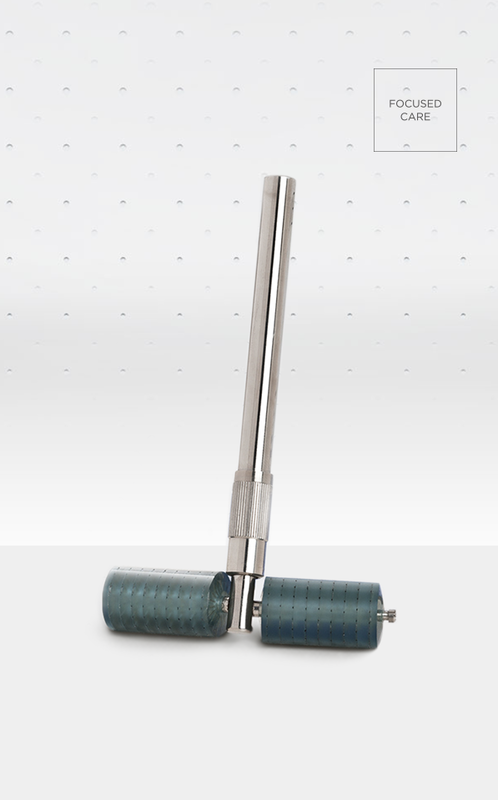 A meticulously crafted hand-held rolling instrument with a smooth action roller head embedded with durable stainless steel micro-needles that protrude 0.1 mm is specifically designed for use on your body. Reduce the appearance of sun damaged skin, fine lines and scars. Your skin needs to be well prepared with mild levels of vitamin A for a minimum of 3 weeks before you start needling. Cleanse the skin before needling and then divide your target areas into sections and roll each section vertically, obliquely and horizontally with the roller for 3-5 minutes, using mild but firm pressure. Follow with your recommended Environ body products.